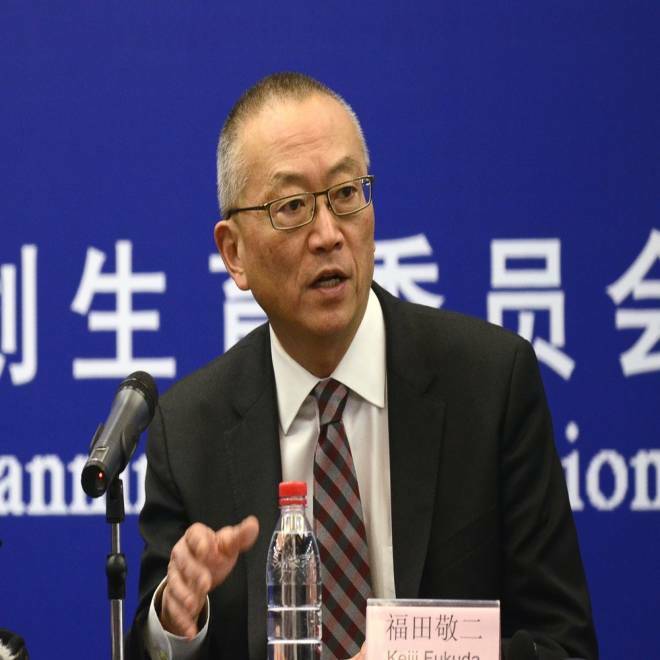 A new strain of bird flu identified in China "is one of the most lethal influenza viruses we have seen so far," Dr. Keiji Fukuda, the World Health Organization (WHO)'s Assistant Director-General for Health Security, tells journalists at a press conference in Beijing on Wednesday. BEIJING – A new type of bird flu that has killed 22 people in China since March is one of the most deadly strains of influenza known, international health experts said on Wednesday. "This is one of the most lethal influenza viruses we have seen so far," said Dr. Keiji Fukuda, the World Health Organization (WHO)’s Assistant Director-General for Health Security. "We are at the beginning of our understanding of this virus." The H7N9 strain appears to spread more easily to humans than SARS, a different virus that started killing people in Asia a decade ago, experts said. Severe acute respiratory syndrome killed around 800 people globally in 2003 before it was stopped. "This is an unusually dangerous virus for humans," added Fukuda, who was speaking in Beijing alongside leading flu experts from around the world. The delegation from United States, Europe, Hong Kong and Australia, as well as China, have just concluded a week-long investigation that took them to affected areas in Shanghai and Beijing. The group of experts made an impressive display of international cooperation, but at the same time admitted just how little is known about the virus that has infected 108 people since March. A four-year-old boy living in a village near Beijing has been confirmed as one the carriers of a deadly strain of bird flu virus. Until the weekend, the outbreak had appeared to be confined to Shanghai and other eastern areas but now it's spread to central and northern China. NBC's Ian Williams reports from Beijing. Most of the cases so far have been found in eastern China, around the Yangtze River delta, but in recent days there have been cases in central and northern China, including the capital. Most have been what Fukuda called "sporadic cases." He said a few family clusters have been found, which could be the result of exposure to the same source of virus, or limited person-to-person transmission. The experts concluded that live poultry markets were the most likely source of infection. The experts praised the swift action of Chinese authorities in closing live poultry markets, and said it was "encouraging" that there have been no new cases in Shanghai since its markets were shuttered. And they called for continued international cooperation against a virus that doesn't recognize borders. "The risks of an outbreak situation are shared in a globalized world, where we are all interconnected," said Fukuda. All of those who spoke today went out of their way to praise the response and of the Chinese authorities and their openness and transparency. There is enormous sensitivity to any suggestion that their presence in China implies any criticism of local efforts. China still lives in the shadow of the SARS pandemic, which began here a decade ago and killed hundreds worldwide, including in the U.S. It was made worse by an initial cover-up by the Chinese authorities. Dr. Jeffrey Shaman, Columbia University, tells NBC's Robert Bazell why flu comes in the winter and if the weather has anything to do with it. "The response reflects earlier and strong investments in health and preparedness made by China," said Fukuda. SARS also left a legacy of distrust, which was on display earlier in the week in Shanghai, when a press conference by the local government and WHO was gatecrashed by the daughter of a couple infected with H7N9. The 26-year-old demanded information about her quarantined father; her mother had died. "The hospitals and medical staff appear friendly to members of the media like you but have responded in a lukewarm manner to inquiries from family members like me," she told the South China Morning Post. She was taken away by officials. The experts said that in the absence of so much basic information about the extent of the public health risk it was critical to maintain a high level of awareness. They also noted that the weather is warming up in China, which might provide a bit of a respite and buy them some important time, since H7N9 -- in common with other influenza -- spreads less easily in the spring and summer.